Hey guys, what’s up. It’s ya boi, SCorpSCilla, back at it again this time to teach you guys some manners and kindness. 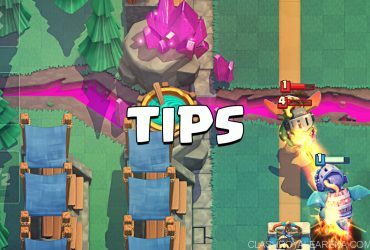 This guide will be based on emotes in battles and clans. 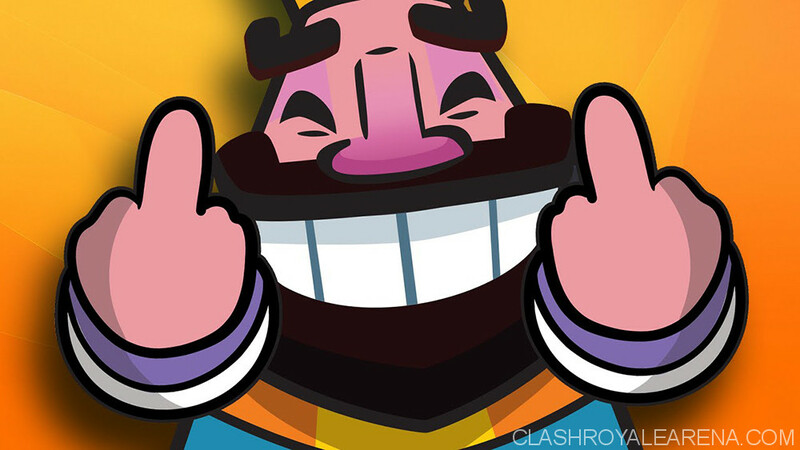 I will go over some ways how to not go salty and rage quit, how to be a positive player, and the purpose of clans. So let’s say you just got crushed by this guy two levels highers than you, with two Legendaries. This is the third battle you’ve lost, in a row. He just barely survived with (___) health left, and just to make things worse, he starts spamming the crying face. Now I know that the laughing face is just as bad, but the crying face (in my opinion) is even worse. You feel your face get mad and you have a weird itch on your hand to throw your phone out the window. But before you do that, you search CRA for better decks, and you find this guide. Well my friend, let me show how to be positive. So usually, when this happens to me, the first thing I do is say well played after clicking the mute button quickly. Usually I’m already too late, but I ignore the laughing emote and wait it out. The moment I get back to the main screen, I ask myself, “Yo SCorp, nice battle you did. You almost got ‘em good. Remember how he was so desperate he Goblin Barreled that Hog? The question is, where did it go wrong?” I watch the replay again, and when I finally find what went wrong, I make a mental note to myself to not make that mistake again, and keep on going. The itch goes away, and I feel a little better now. WOAH there, calm down. Breaking your iPad and screaming loud enough to raise the dead isn’t going to make anyone happy, ‘specially your parents who bought the iPad for you’. Just close the app as quickly as you can and just take a break from the game. Sometimes it’s just good enough to simply have a pause at playing Clash Royale. Smile at the wins, learn from the losses, and be satisfied with the draws. Clans are there for a reason: They allow you to battle your friends for no risks, they allow you to donate the cards you don’t need, or just in pure kindness, while also allowing them to donate to you too. 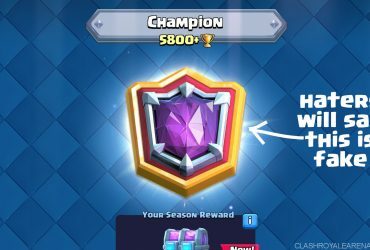 The Clan Chest is a cooperative goal to get a really tier so you guys could get good cards. They aren’t there to spread competition, rivalry, and bad feelings. Promotions are made to feel good and to have a responsibility of being nice to your clanmates. Quick story: Every time I promote people, I have them repeat after me and swear to the Asian code (no joke, I do it every time), which says: “I promise to never abuse my new power to the saltiness and rivalry of good friends, to never kick people out for no reason, and to donate always, all sworn to the Asian code. #AsianClan”. I’m quite serious, I do that every time. Donating is a sign of playing and being a nice guy. Anyways, this guy swore to the Asian code, and the moment he was co-leader, he kicked five people out just before the Clan Chest. I challenged him to a battle, and if you’ve ever seen the wrath of an Asian, there is no surviving. There were six other people who challenged him. He left the clan right after I wrecked him 😀 and I invited the five he kicked out back into the clan. Moral of the story, promotions are a responsibility, and it shows just how kind you are. So basically, when you start getting salty, either stay positive or just take a break from the game. Don’t abuse your power, or your clanmates might turn on you. This is SCorpSCilla, and stay positive.